I am exceptionally proud of this crew and the simply herculean efforts to get into simulation for this all too important mission of discovery through adversity. After effecting repairs to the habitat, we started SIM at ~1515 and after a team meeting commenced our first EVA. The crew has improvised scientific and information gathering experiments which do not require IRB approval on short notice in light of the loss of our science advisor and the scientific suite. The crew has settled into a superior communication routine using a white board. 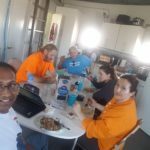 After each evening meal we plan the next days endeavor as well as the meals including who is cooking and what the menu items are. We also plan what photo opportunities are requested such that we can have superior outreach using social media and other platforms to raise awareness of our mission. The crew has volunteered as a long-term goal for this mission to assist in the cleaning of the water tank on the trailer. We will make EVAs to assess and attempt to clean during EVA with the final re-sanitizing completed in the RAM. Sprits are high and the crew is in a great mood. LEARNED – We learned that the EVAs are difficult work as the suits truly hamper mobility. 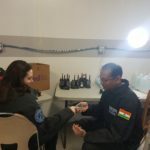 IMPRESSED – I was impressed with the Doctor (Ashok – Blue 02) as he cooked a terrific curry-based meal and still passed out surveys for the crew and took body measurements while continually looking after the crew. POA&M – (Plan of Action and Milestones) – We intend to perform a few more EVAs tomorrow and make a training schedule for the crew to learn about decompression in space suits, psychological crew selection as well as radiation exposure and mitigation factors. Yuri’s night is forthcoming and we are planning some activities to celebrate the first man in space. THANK YOU to Ms. Shannon for help getting us into SIM. Propane – 69% (telemetry reported) psi. Toilet tank emptied: Yes, emptied today, April 9. ATV’s Used: All of them. ATV Fuel Used: 15% of tank. Summary of internet: 569 MB remaining at 9:30PM. Summary of suits and radios: Suits all charging, 2 suits used, radios working. Summary of Hab operations: Fixed one light bulb in airlock, fixed stepladder, fixed window in main airlock. Summary of GreenHab operations: See GreenHab reports. Summary of ScienceDome operations: None. Summary of RAMM operations: None. Summary of health and safety issues: None. Blue Crew 192’s first day of their mission was an exciting and hectic one. We started our mission taking a lot of photos and learning how to properly use our Martian vehicles and spacesuits. 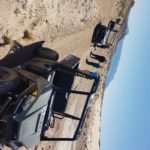 The crew got the hang of using the Martian vehicles quickly, including the two of our five crew members who had never previously driven ATVs. 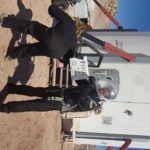 The crew also continued experimenting with cooking the dehydrated food we were supplied for the mission, which turned out to be a bit more difficult than expected. But all the same, after some adjusting and improvisation with powdered butter, we enjoyed some pancakes for breakfast. 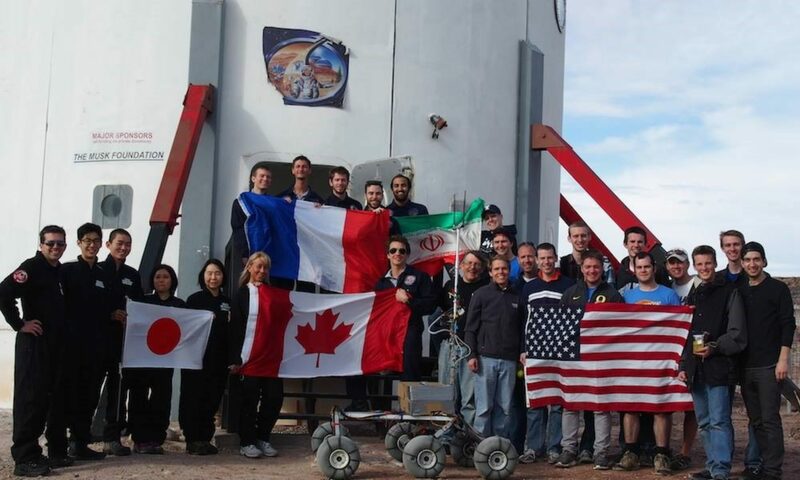 Being on a Martian mission has already proven to be a constant learning experience. Every action that we take, including seemingly simple tasks, usually ends with a group discussion about how the experience went, what worked and what didn’t, and what we should do differently next time. We look forward to continuing our mission tomorrow. 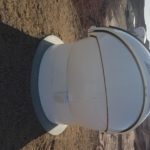 1741 – Enter hab, EVA complete. Today was the crew’s first EVA of our mission. 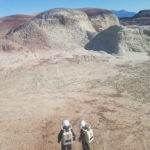 Two crew members (out of 5) went on a short EVA to test out an ATV and Rover and familiarize themselves with the Martian landscape. Mission Status: Ground Control to Major Tom, PHEnOM Blue Crew 192 has landed at the Mars Desert Research Station. Unfortunately we’ve “lost” a crew-member during reentry to Mars. Our science adviser was accidentally jettisoned along with many of our scientific experiments. 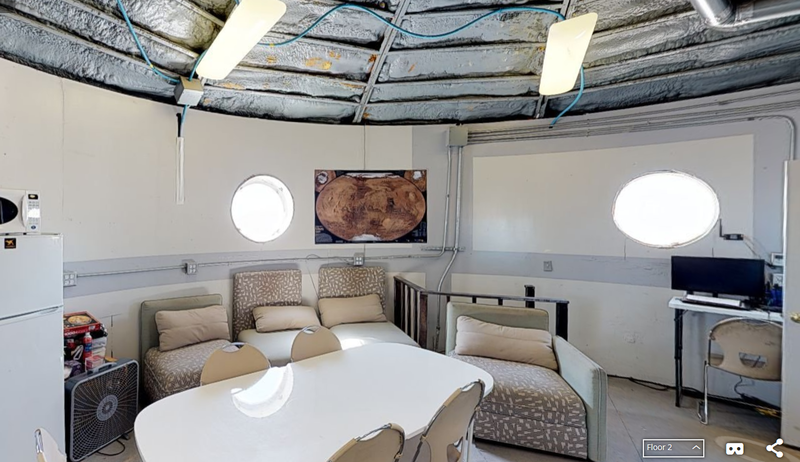 We have renamed our habitat the Bowie Base in honor of the inspiration from the “star Man” himself David Bowie. Our team’s mission is to overcome this adversity and persevere in the name of science. We have good intelligence that some of the projects may have survived reentry so we will be performing EVAs to scout possible locations where the science may have re-entered. We intend to perform pilot studies and other scientific information gathering techniques as well. Sol Activity Summary: We started our day by making sure we have an adequate water supply for our mission. Following that, we scouted the area around our habitat and took some photos for documentation. We also checked on our remaining science experiments like the locking mechanism of our observatory, which eventually opened after several unsuccessful attempts. 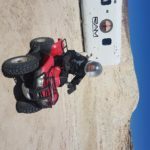 Next, we tested our ATVs and rovers to make sure they’re working properly for our EVAs and scouting missions. It was interesting getting to use them on the dusty, sandy Martian landscape. After our test, we headed back inside the hab for our first crew dinner during our mission, and after that, two crew members conducted our first short-range EVA to test our spacesuits and communications devices. Upon their return, our GreenHab Officer went out to water the plants and our XO conducted a short engineering EVA around the hab for some repairs. 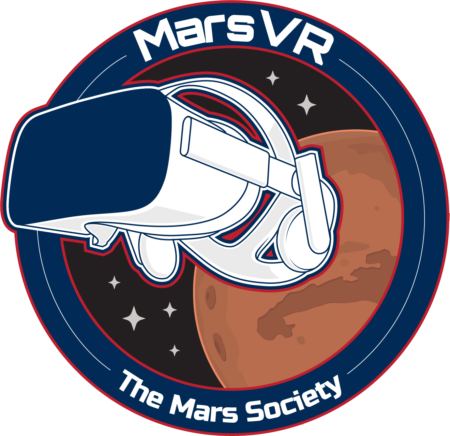 Look Ahead Plan: As we continue to search for our lost science experiments, we’ll stretch our EVAs further and further out into the Martian landscape each day. We’re also experimenting with various types of dehydrated “space food” to see what brings us the best combination of nutrition, convenience, and satisfaction. Some of the dehydrated items have proven to be more difficult to cook with than expected. Weather: The weather was beautiful all day today, clear skies with very few clouds. We’re getting a good feel for the desert climate, it’s dryness, and its variation in temperature. It seems to be somewhat chilly in the morning, warmer by midday (even a bit hot), and cools down nicely at night, sometimes even becoming very cold during the night itself. The dry air is also a change for some of the crew. EVA: Today two crewmembers conducted one short-range EVA that lasted approximately one hour. See additional EVA report. Support Requested: We would very much appreciate it if mission control could send us forecast sunset times (actual, civil, and nautical) for each day of our mission, which will allow us some better planning for EVAs.